Mitchell Crane proudly serves as “Your Complete Crane Source” by offering a full spectrum of crane parts and crane services for the major manufacturers of lifting cranes, including the biggest and best names in the industry, specializing in Link-Belt and American Cranes. 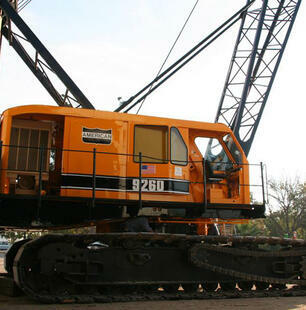 Link-Belt and American Cranes have been the heart of Mitchell Crane for more than 40 years. Throughout its history Mitchell Crane has been steadfastly dedicated to becoming the industry’s leader in quality, price, knowledge and accommodations for Link-Belt and American cranes. We are also proud providers of OEM Link-Belt and American Crane parts and in many cases can affect shipment strait from the factory to your door. In the late 1980s Mitchell Crane’s dedication to achieving these goals was proven to its customers upon construction of a fully capable manufacturing facility. The facility was commissioned to produce a large aftermarket product line of new parts for Link-Belt and American Cranes that would meet or exceed the Original Equipment Manufacturers quality, pricing and availability. More than 25 years later, we are still producing many of the same parts for a fraction of the cost of new parts from the OEM. Mitchell Crane’s vast library of technical manuals for various cranes is at your disposal and is ever expanding as a result of our staff’s dedication to customer service and eagerness to provide you with answers about your machinery. 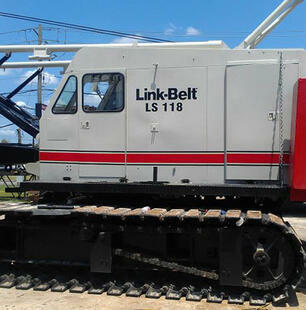 Mitchell Crane’s experience and proficiency in producing aftermarket new parts for Link-belt machinery is second to none. With Factory backed support and our extensive experience Mitchell Crane is positioned to be your first call for Terex and American Crane Parts and Services. Don’t See The Crane Brands You Need?